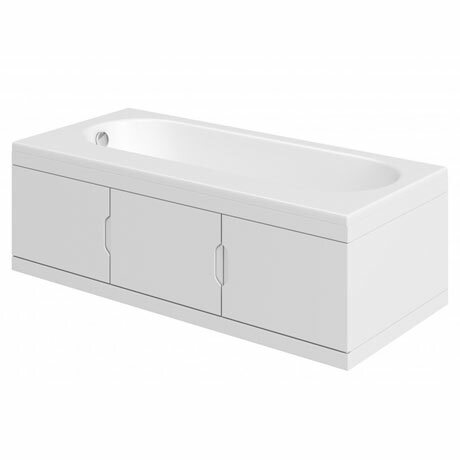 Introducing the innovative Repono acrylic bath with practical storage panels, ideal for bathrooms where space might be limited with it's solid MDF vinyl wrapped storage bath panels allowing for bathroom items to be sorted neatly and out of site. Comes with adjustable feet kit & fitting pack. Water Capacity Approx. 180 Litres estimated up to the overflow to full capacity. Supplied fully encapsulated as standard.